…this 1949 project represents the first successful attempt to think outside the standard, Buenos Aires grid plan. No government-sponsored housing project had ever been attempted on such a large scale. 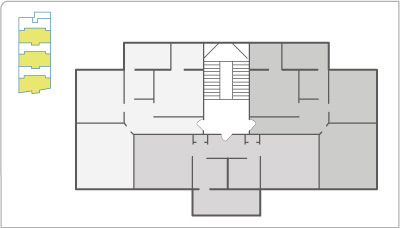 The layout is not symmetrical, but it comes close. City limits obviously cramped the design since Avenida General Paz slices through the “U”, so planners extended the left (actually southwest) side slightly to compensate. In the same year that the concrete blocks of Barrio Balbastro housed families in Bajo Flores, a completely new idea popped up in Saavedra: the chalet californiano, single story houses set back from the street with terracotta roofs & wooden shutters. Based on Jesuit missions in California, a certain sector of the upper class loved this imported & definitely foreign style. The Perón government brought it to the people. Welcome to the Perón era. 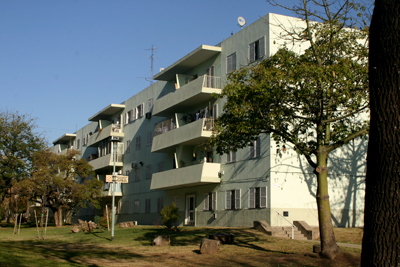 With only four projects built in the previous 20 years, no doubt a housing crisis for lower income workers affected Buenos Aires… and provided good enough reason to eliminate the CNCB. Perón’s support came from the working class, so it’s not surprising that he began to cater to their needs. 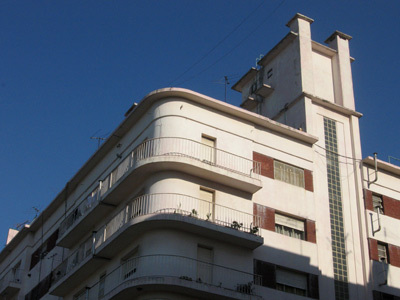 Remember the confusion of Barrio Alvear 1? 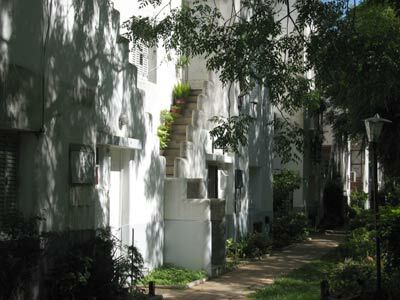 Only four city blocks of chalets were built by the Comisión Nacional de Casas Baratas, marked with the number 1 on the map below. Funds could not keep up with increased costs but 16 years later, the project continued. 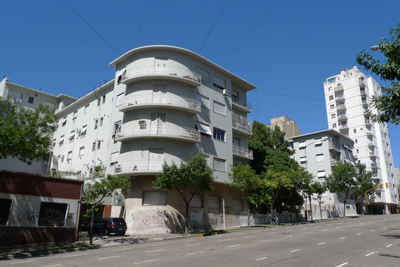 The 1930s weren’t good for housing projects in Buenos Aires. No doubt due to worldwide recession, workers had neither the government nor private organizations to look after them. 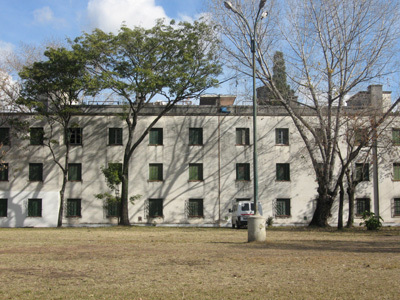 Remember Barrio Rawson was finished in 1934 & the Casa Colectiva América in 1937… only two projects since 1928 is hardly a good track record or very helpful to those in need. By 1939, the program got back on track & two projects were completed. 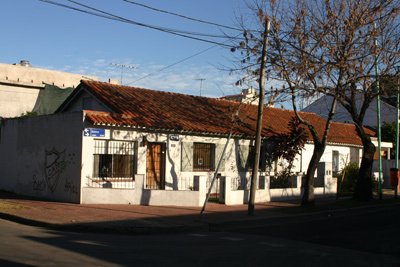 Right in the heart of Sunday street fair in San Telmo is this rather unassuming building. 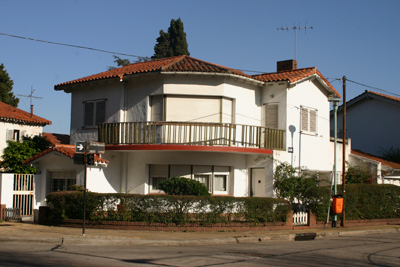 Remember that the CNCB’s first project was an apartment building in Parque Patricios. Then they opted for individual, chalet-style housing. With this project they went back again to the apartment building model. Talk about indecisive. 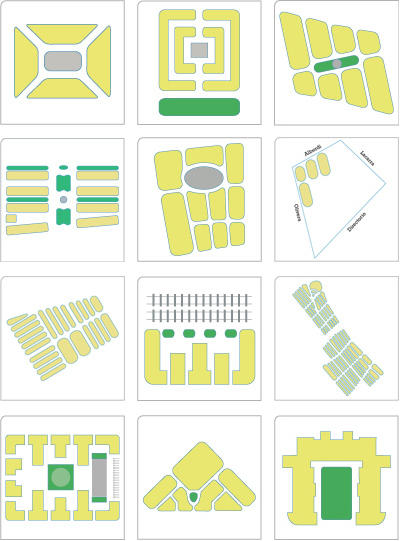 I put this series on the back burner a few months ago while doing the dome map & getting the cemetery blog up. Now I feel sufficiently guilty to continue where I left off… the 1930’s. Worldwide economic depression in 1929 & Argentina’s first military coup in 1930 also make this a good moment to start again. Economic & political problems brought social welfare to a halt for most of the decade.